We roll on with the countdown cracking the top 20. Let’s see who’s ranked 21-14. Louisville is a program that has been doing a lot of winning lately thus they have sent some solid players to the NFL. The top former Cardinal is Browns Tight End Gary Barnidge. Since Barnidge plays for the Browns is NFL success has flown a bit under the radar. In 2015 Barnidge broke out racking 1,043 yards a huge number for a tight end. He followed up his great 2015 with another solid season in 2016 racking over 600 yards despite not having good Quarterback play. Honorable mentions go out to Saints Nose Tackle Sheldon Rankins, Viking Signal Caller Teddy Bridgewater, and Dolphins Wide Receiver DeVante Parker. Rankins recorded four sacks in his rookie season for the Saints in 2016 and has proven to be a solid run stopper. Bridgewater missed all of 2016 due to an ACL Tear which was crushing for the Vikings. If 2015 is a sign of what he’ll bring in the future however he’ll be a great NFL Quarterback. DeVante Parker had a big year in 2016 recording 744 revving yards and four touchdowns for the Dolphins. If this list was based on defense only Penn State may be number one. Penn State still makes the top 20 despite not having many talented offense alumni due to the amazing defense talent they have in the NFL. The top former Nittany Lion in the NFL is Dolphins Defensive End Cameron Wake. Wake is a five time pro bowler, former first team all pro Defensive End, and three time second team all pro honor. Wake’s 11.5 sack season in 2016 was his fourth year of getting at least 11 sacks. Shoutouts go out to 49ers Linebacker Navorro Bowman, Cowboys Middle Linebacker Sean Lee, Chiefs Linebacker Tamba Hali, and Jaguar Linebacker Paul Posluszny. Bowman is a three time pro bowler, four time first team all pro Linebacker, and was a big part of a 49ers defense that made it to the NFC Championship three straight years from 2011-2013 including getting to the Super Bowl in 2012. Sean Lee when healthy is among the best middle linebackers in the sport. The Cowboy Linebacker is a former Pro Bowler and was named first team all pro in 2016. Tamba Hali a lifelong Chief is a five time pro bowler and was twice named second team all pro. Paul Posluszny has quietly been one of the NFL’s most solid players the last ten seasons. He is a former Pro Bowler who has eight seasons of 100 plus tackles including 162 in his pro bowl season of 2013. Mississippi State was ranked #1 in the AP top 2015 just two seasons ago and the man that led that charge that brought the Bulldogs to the top is now tearing it up in the NFL. That would be Dak Prescott the top former Mississippi State Bulldog in the NFL. Prescott in his rookie season did just play so well that he never allowed Tony Romo to take his job back after returning from injury he won 13 games for Dallas. Prescott who was named a pro bowler in his rookie season led the Cowboys to the NFC’s number one season throwing for 3,667 yards, 23 touchdowns, with just four picks. The rookie also ran for six touchdowns in an outstanding rookie season. 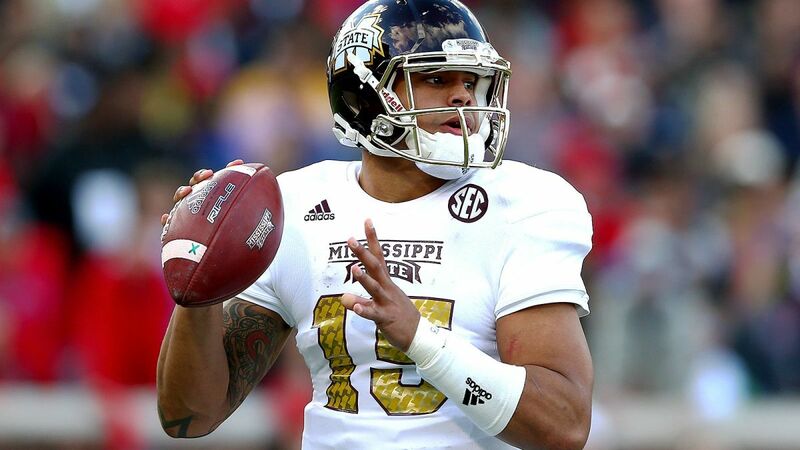 Prescott is the only former Bulldog doing great things in the NFL. Lions Corner Darius Slay, Eagles defensive end Fletcher Cox, and Bears nose tackle Pernell Mcphee are also solid players. Slay emerged as an elite corner in 2016 defended 13 passes, grabbing two picks, and forcing a fumble. Fletcher Cox is a two time pro bowler, who has been named a second team all pro defensive end twice. Pernell Mcphee is one of the NFL’s more solid run stoppers. Mcphee has a monster 2015 where he had 53 total tackles, six sacks, and even had an interception. 18. Boston College isn’t exactly doing much winning lately but some of the players they have sent to the NFL are very very good. 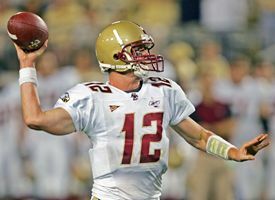 The top former BC Eagle is Falcons Quarterback Matt Ryan. Ryan is a four time pro bowler, and was named first team all pro in 2016. Ryan’s 2016 may just win him an NFL MVP award. He threw for 4,994 yards, 38 touchdowns and threw just seven picks for the NFC South Champion Falcons. Honorable mentions go to Panthers Luke Kuechly, and Redskins Will Blackmon. Kuechly is arguably the top Linebacker in the Sport. At just age 25 Kuechly is a four time pro bowler, three time first team all pro, and a second team all pro honor. In 2012 he was named the defensive rookie of the year and just a year later was named defensive player of the year. Will Blackmon is a journey man but has had success in almost all of his stops as a cornerback and special team. Blackmon owns a Super Bowl ring as he was the punt returner for the Super Bowl 46 champion New York Giants. 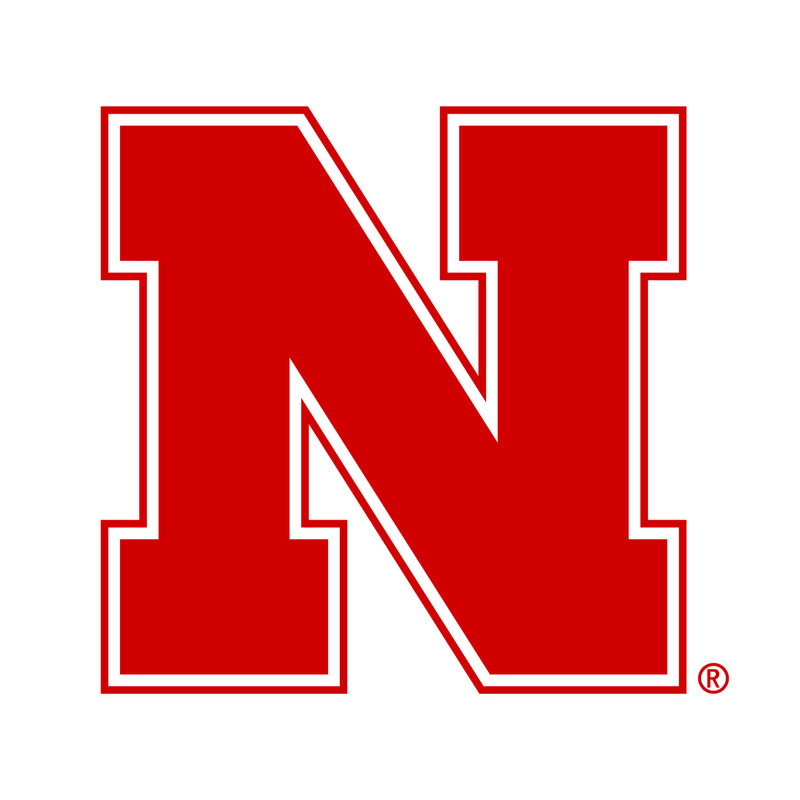 Nebraska is a program that does not aspect losing. This is exactly why Nebraska has so much NFL talent as they only aspect the best. The top former Husker in the NFL right now is Dolphins nose tackle Ndamukong Suh. One of the NFL’s most feared players Suh has had an outstanding career split between Detroit and Miami. He is a five time pro bowler, four time first team all pro defensive tackle, and two time second team all pro honor. Back in 2009 he was named defensive rookie of the year. Honorable mentions go out to Bills offensive guard Richie Incognito, Bucs linebacker Lavonte David, and Redskin linebacker Will Compton Incognito is among the best offensive lineman in football. He is a two time pro bowler in a career split between the Rams, Dolphins, and Bills. Lavonte Davis has quietly been making a name for himself in Tampa. He is a former first team all pro Linebacker, 2015 Pro Bowler, and has recorded at least 130 tackles in all but one season of his five year career. Will Compton had a big 2016 in Washington. He had 106 total tackles, a forced fumble, two fumble recoveries, and a pick for the Skins. 16. CAL: Aaron Rodgers QB GB Honorable Mentions: Alex Mack C Atlanta, Mitchell Schwartz OL KC, Marvin Jones WR DET California isn’t exactly a winning program like people may think. 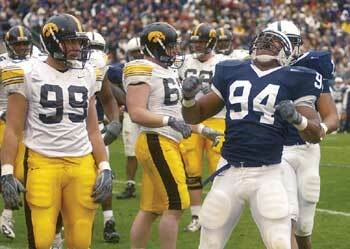 However the players they have in the NFL right now are among the best alumni groups in Football. The top former Golden Bear may be the NFL’s best Quarterback Packers Aaron Rodgers. Rodgers has made it to the playoffs every year but one since taking over for Brett Favre as the Packers Quarterback in 2008. He is a two time NFL MVP, six time pro bowler, two time first team all pro Quarterback, a second team all pro honor and most importantly a Super Bowl Champion and Super Bowl MVP. Honorable mentions go to Falcon Center Alex Mack, Chief Offense Lineman Mitchell Schwartz, and Lion Wide Receiver Marvin Jones. Mack former Brown now Falcon is a four time pro bowler, and two time second team all pro center. Schwartz who was teammates with Mack back in Cleveland and is now with the Chiefs was named second team all pro in 2016. Marvin Jones the last two seasons one with Cincinnati and the last one with Detroit has a combined eight touchdowns an 1,746 receiving yards. 15. Stanford: Andrew Luck QB Stanford Honorable Mentions: Richard Sherman CB SEA, Doug Baldwin WR SEA, Ty Montgomery RB/WR QB, Zach Ertz TE PHIStanford is a school that has it all. Great academics and amazing football. Thus they haven’t just send outstanding football players to the NFL but smart football players. 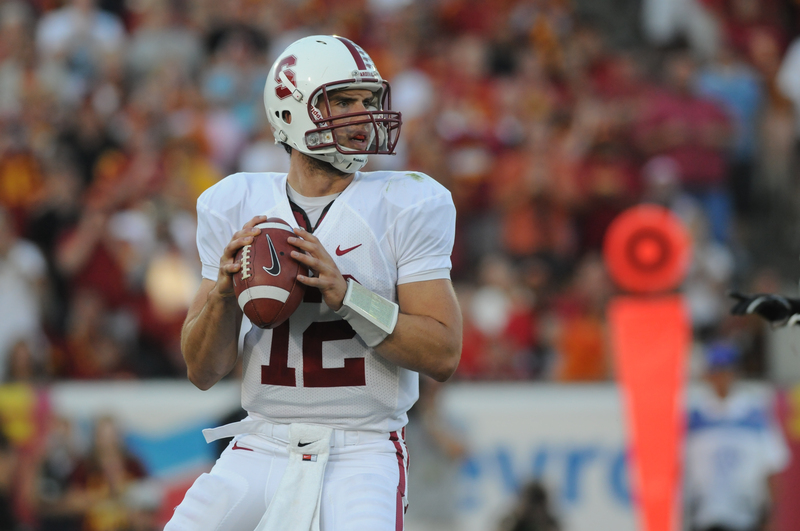 The top former Stanford Cardinal in the NFL is Colts Quarterback Andrew Luck. Luck who was drafted to replace Peyton Manning has been among the best in the NFL since taking over in Indy. Luck has led the Colts to the playoffs three times going as far as the AFC title game while making three pro bowls, and winning the 2014 passing touchdown crown. Shoutouts go to Seahawks Corner Richard Sherman, Seahawks Wide Receiver Doug Baldwin, Packers do it all man Ty Montgomery, and Eagle Tight End Zach Ertz. Sherman is among the best corners in the game. He helped anchor the Seahawks top ranked defense in 2013 that won the Super Bowl, and made it back to the Super Bowl in 2014 all while earning four pro bowl nods, being named first team all pro three times, and getting a second team all pro nod. He also led the NFL in Interceptions in 2013. Doug Baldwin also a big part of the Seahawks teams that have been so good of late. Baldwin shared the NFL lead for touchdown grabs in 2015 with 14. He has racked at least 1,000 yards receiving in back to back seasons. Montgomery was moved to running back for Aaron Rodgers and the Pack in 2016 and boy was that a good move he ran for 457 yards and three scores after the Mid season position switch meaning he should be an 1,000 yard rusher in years to come. Zach Ertz has had at least 700 revving yards from the tight end position in each of the last three seasons. Texas is a program in transition hoping to be great again soon but right now still has some alumni playing in the NFL. Ravens Kicker Justin Tucker is the top former Longhorn right now. Seeing a kicker be named a school’s best alum may make you think they shouldn’t even be close to the top 15 of this list but Tucker isn’t just good, he’s a shoo in to make be enshrined in Canton one day. Tucker the Super Bowl 47 champion is a two time pro bowler, and two time first team all pro kicker. He has a career average of 89.6% when it comes to Field Goal percentage and has hit from as far as 61 yards out. Honorable mentions go to Seahawks Safety Earl Thomas, Chief Linebacker Derrick Johnson, Eagle Linebacker Jordan Hicks, and Chief Running Back Jamaal Charles. Thomas is a five time pro bowler, four time first team all pro honor, and a second team all pro honor. He was a huge part of the Seahawks Super Bowl 48 champion defense. Derrick Johnson is a four time pro bowler, a former first team all pro linebacker, second team defense all pro and won the MVP of the Pro Bowl in 2013. Jordan Hicks is a Linebacker who can both shut down a Tight End and stop the run. He had 85 total tackles and five picks for the Eagles in 2016. Jamaal Charles has been banged up the last two seasons but before this was one of the best players in the sport. Charles is a four time pro bowler, two time first team all pro running back, a second team all pro honor, and led the NFL in rushing touchdowns in 2013. Posted in Boston College Eagles, California Golden Bears, Louisville Cardinals, Mississippi State Bulldogs, NCAAF, Nebraska Cornhuskers, NFL, Penn State Nittany Lions, Stanford Cardinal, Texas Longhorns.